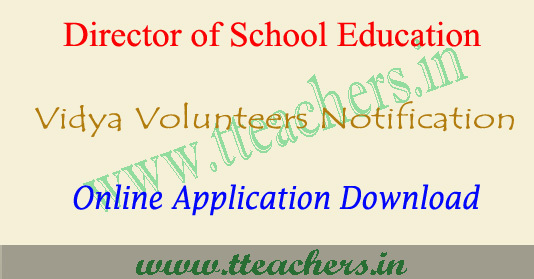 Mode of applying for the Telangana Vidya Volunteer posts recruitment is completely through online mode. Start and last dates of application process will be noted soon. Educational Qualification : Candidates those who have passed B.Ed from any equivalent university may apply. Salary : Selected candidates as TS Vidya Volunteers will get pay of Rs.12,000/- per month..
TS VVs Selection Process : Based on educational merit of candidates will be recruited.